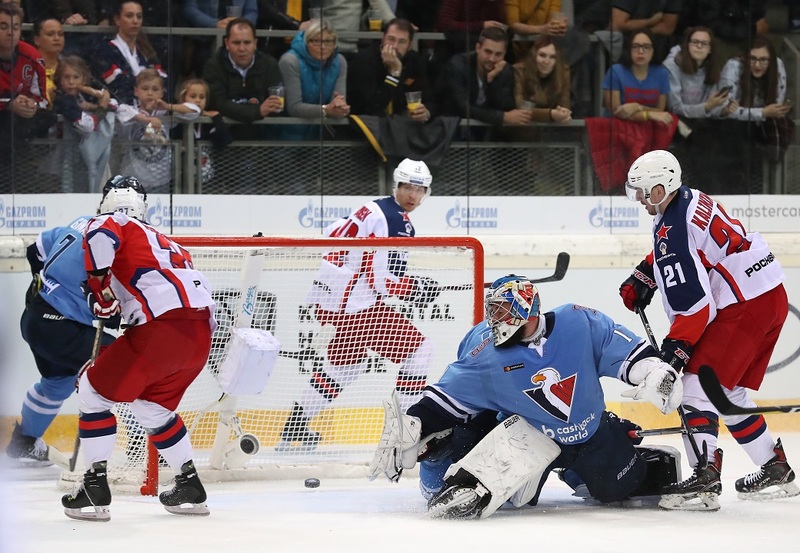 The first of this season’s KHL World Games ended in a comfortable 9-0 victory for CSKA over Slovan in Vienna. But the final score was only a small part of a memorable day. Hockey is a serious business, but it would be a pity to come to a city as beautiful as Vienna and see nothing more than an airport and an arena. Thus inspired, CSKA’s Ivan Telegin, Mikhail Pashnin and Konstantin Okulov grabbed the chance for a flying visit to the Belvedere, one of the city’s best-loved museums. The star attraction? Gustav Klimt’s masterpiece, ‘The Kiss’. The players, who visited with their wives and a camera crew from Match TV, got a rare chance for a private viewing of the famous painting: the museum staff dimmed the lights in the gallery to allow the brilliant golds of Klimt’s vision to shine out. 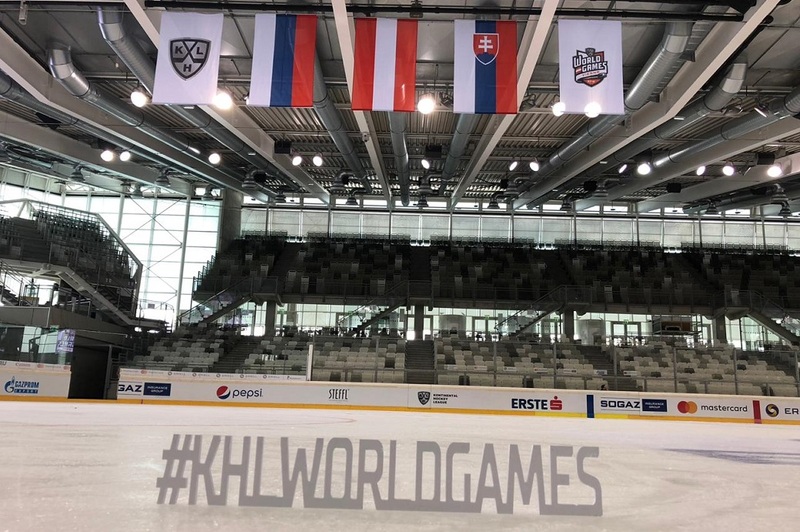 The Erste Bank Arena, host venue for the KHL World Games, is no stranger to hockey. 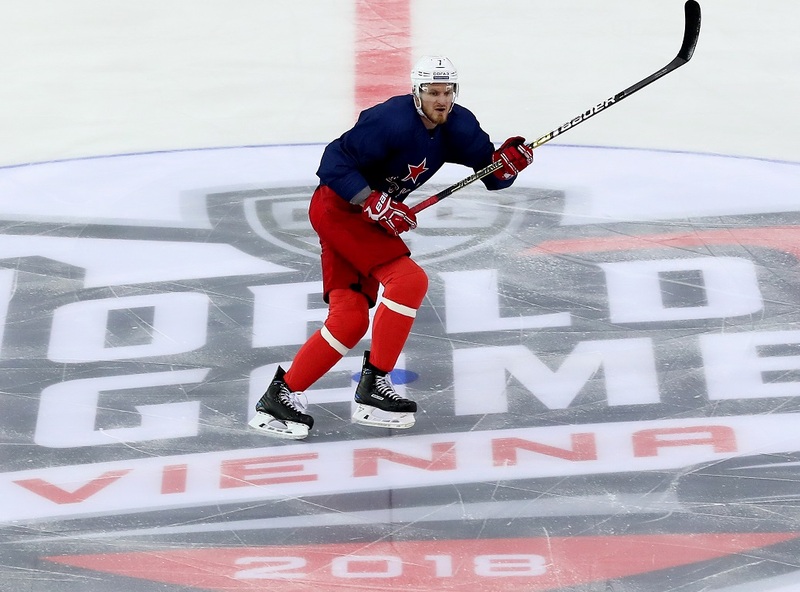 Austria has a long tradition in the sport and celebrated a notable success back in May when its national team secured its place in the World Championship Elite Pool for a second consecutive season. The Vienna Capitals, of the Erste Bank Eishockey League, play home games in this very arena. 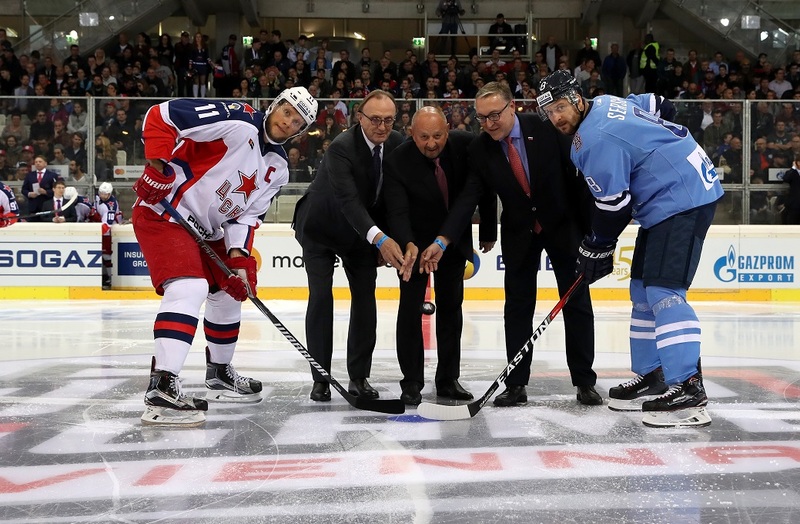 Like the KHL, the EBEL is a cross-border competition featuring leading teams from Central Europe and Italy. 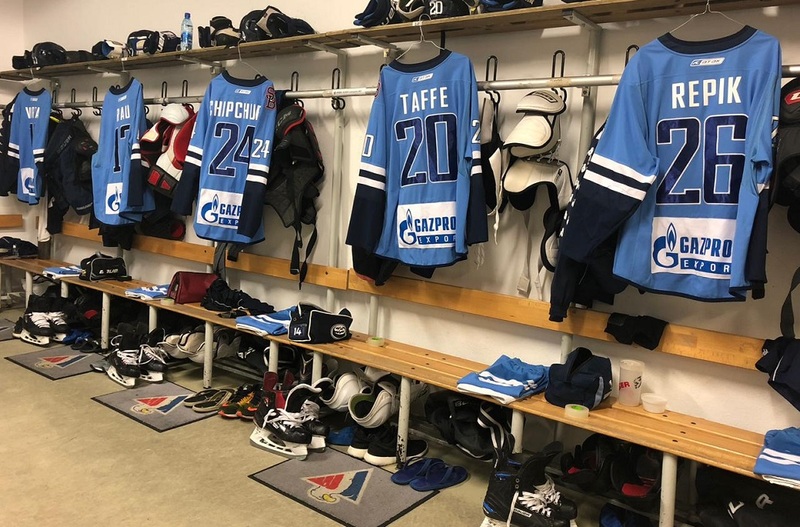 There’s even a KHL connection: Medvescak Zagreb, one of the Capitals’ rivals, played four seasons in our league and even reached the 2014 playoffs before returning to the EBEL. However, Vienna Capitals GM Franz Kalla admitted that his organization is some way from being able to compete at our level. “The KHL is such a high level that it’s hard to compare the two leagues,” he said. “The overall budget for our club, for all our teams, is in the region of just 5.5 million euros. CSKA’s Mikhail Grigorenko would certainly be keen to see more teams from Europe joining the KHL. “It’s always interesting to play games like this,” he told championat.com. “It’s great to see a sell-out in the arena here. It reminds me of some of the venues I played in smaller towns in Canada. The bulk of the crowd at the game was made up of Slovan fans making the short journey from Bratislava, and curious locals eager to catch a glimpse of the top league in Europe. But CSKA had its fans too, including Zinaida Lukas and her family. A Muscovite who moved to Austria and married a local man, she explained that she has kept up the tradition of rooting for the Red-and-Blues. “When I still lived in Moscow I supported CSKA,” she said. “Then, after coming to Austria and starting a family here I made sure that we were all CSKA fans. And today, we all wanted to come to the game. We come to [Vienna Capitals’] games here as well, but the level is some way short of the KHL. Before the game, Slovan had talked optimistically of causing an upset. But all hopes of a surprise were blown away inside 10 minutes as CSKA powered into a 4-0 lead. Linden Vey opened the scoring after 26 seconds, Kirill Kaprizov celebrated his 200th KHL appearance by making it 2-0 in after three minutes and Mat Robinson added a third on 6:44 to end Marek Ciliak’s evening between the piping. His replacement, Jakub Stepanek, fared little better: Andrei Svetlakov added a short-handed goal. As an exhibition of the quality of hockey that the KHL’s top teams can produce, this was impressive. The only disappointment, perhaps, was that the neutrals in the crowd did not get to see a more competitive game. CSKA kept on scoring, and Lars Johansson kept the home team frustrated. Despite a 4-0 scoreline at the first intermission, the shot count was 16-13 in Slovan’s favor and the teams spent almost the same amount of time on the attack. 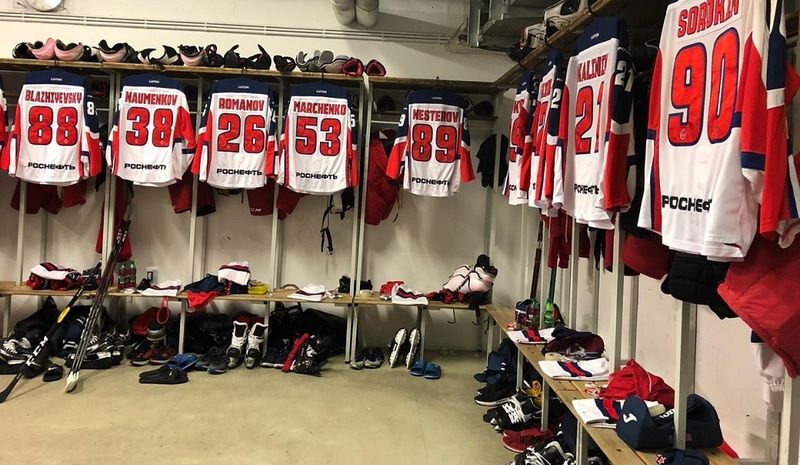 There was a danger that CSKA might top its KHL record victory – a 12-0 margin recorded at home to Slovan in February 2015 – and when Jannik Hansen got the Army Men’s second short-handed goal of the game there was some anxious reviewing of statistics. The Dane also had three assists in the game. The record did not fall, however. Anton Slepyshev added a ninth and that was an end to the scoring as the crowd savored some exhibition hockey from the visitor.